In this episode, Haley interviews Stephen Wolfram at the Ninth International Conference on Complex Systems. 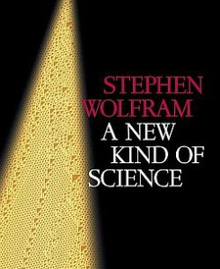 Wolfram is the creator of Mathematica, Wolfram|Alpha and the Wolfram Language; the author of A New Kind of Science; and the founder and CEO of Wolfram Research. Wolfram talks with Haley about his professional journey and reflects on almost four decades of history, from his first introduction to the field of complexity science to the 30 year anniversary of Mathematica. He shares his hopes for the evolution of complexity science as a foundational field of study. He also gives advice for complexity researchers, recommending they focus on asking simple, foundational questions.